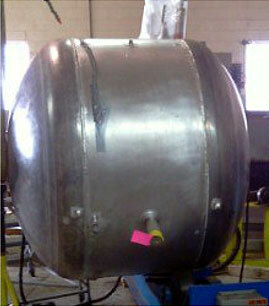 Aluminum ASME Code Stamped Pressure Vessels - Meyer Tool & Mfg. Weight: Stainless steel is approximately 3 times denser than aluminum but has a 2 to 3 times greater allowable design strength depending on aluminum alloy and heat treat condition. Material Cost: Historically per pound, stainless steel costs approximately 1.3 times to 1.5 times aluminum. However recently this cost advantage has been shrinking, especially in the heavier thicknesses. Manufacturing: According to AISI tests, aluminum is 4.75 times easier to machine than stainless steel. However, labor costs associated with welded vessels can minimize this advantage. To help our customers develop conclusions regarding the suitability of aluminum for their application we will consider the following. 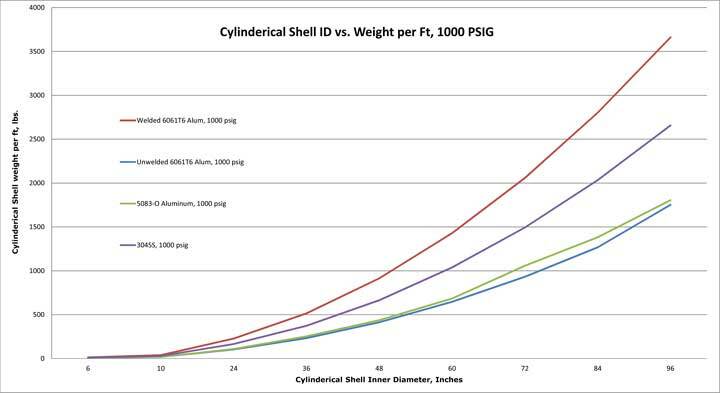 Design: The common cylindrical shell, wall thickness based on ASME Section VIII Division 1 formula UG-27 (1) for circumferential stress. Excluding local stresses, such as nozzles, this formula normally defines the required wall thickness of a cylindrical shell under internal pressure. To simplify comparison we utilize a weld quality factor of E=1. Materials: Four materials in order of lowest to highest allowable stress, 6061T6 Aluminum in the welded condition, 6061T6 Aluminum in the un-welded condition, 5083-O temper Aluminum, and 304 stainless steel. Pressure: 100 psig, 500 psig, and 1000 psig. ​Four charts are presented. 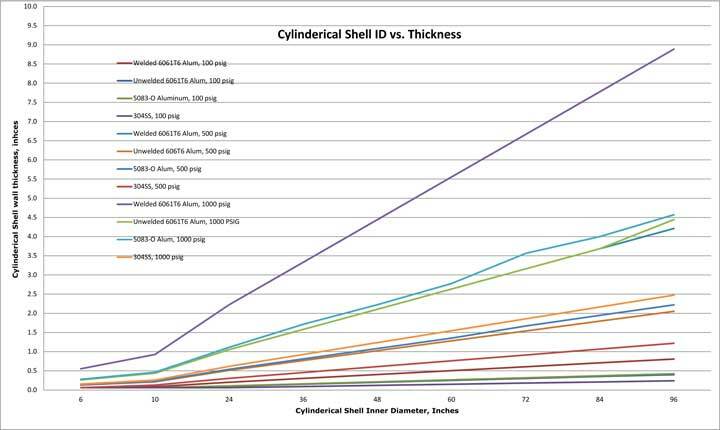 Shell ID vs. Thickness and Shell ID vs. Weight at 100 PSIG, 500 PSIG and 1000 PSIG. Click each graph to download a high resolution PDF. 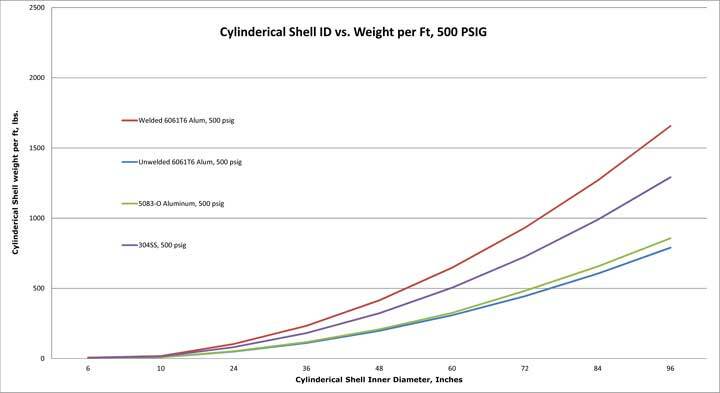 As diameter and pressure increase, the lower density advantage of aluminum is outpaced by the higher design allowable of the stainless steel until stainless steel designs actually weigh less than welded 6061T6 aluminum designs. For larger diameter vessels, to regain the weight advantage of aluminum, welded 6061T6 vessels must be re-tempered or an alternative aluminum material with a higher allowable must be selected. This is, of course, a simplified analysis to illustrate the trend. In analyzing a real world design, other factors have to be taken into consideration, including specific ASME requirements and manufacturability. 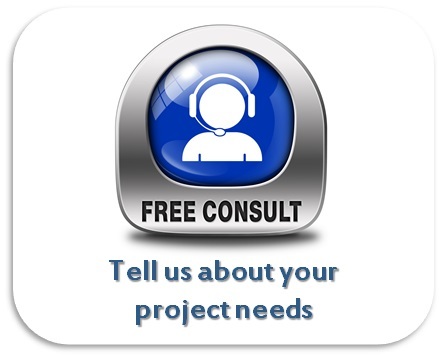 Through Meyer Tool’s Reduce Project Risk process, our engineering staff can help develop the optimal design for your needs to achieve lowest total cost of ownership. 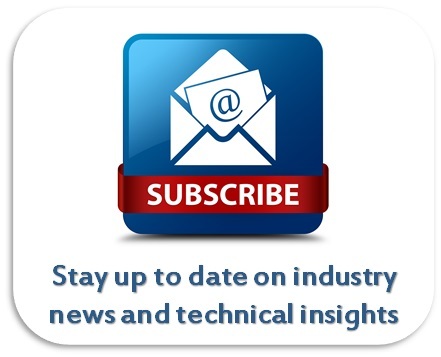 For welded 6061T6 Aluminum, the ASME Boiler and Pressure Vessel Code requires a much lower allowable stress value be used in design. 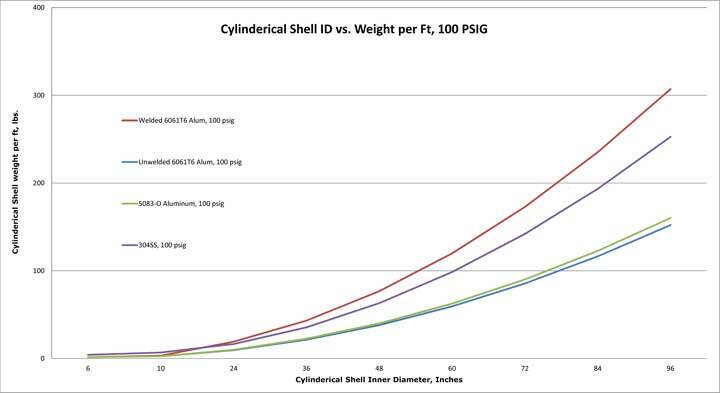 Pressure vessels utilizing this material must either be re-tempered to T6 condition or be fabricated in a manner that avoids welding to regain the higher allowable stress value for the T6 un-welded condition. 5083-O Aluminum was included as its allowable is used as the lower limit for welded H14 temper. Thickness calculated below ASME Section VIII minimum thickness adjusted to reflect minimum 0.063” thickness. The Aluminum materials’ allowable stress values vary with thickness. Aluminum materials have restrictive upper temperature limit requirements. Consult ASME Section II Part D for details. ASME Section II Part D also restricts maximum allowable thickness for product forms in Aluminum, this simplified analysis ignored this restriction.